I am a mature, caring, energetic individual, who loves spending time with young children. During the school year, I am a special education teacher with SVVSD. I recently took care of a 5 month old baby boy, for 2 weeks this summer, and loved it! During the school year, I am seeking occasional, part-time employment, to include, but not limited to; date nights, weekend time, etc. 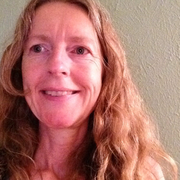 I am originally from Ireland, have been in the U.S., since 1991, and in Longmont since 2001. I love all that Colorado has to offer!